Established in 1985, Argyle Engineering has grown to be fabrication leaders in the Kimberley. 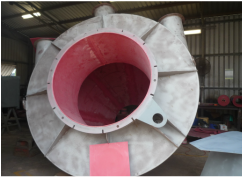 ​We specialise in all forms of metal fabrication for a variety of industries, as well as grit blasting, industrial spray painting and rubber lining. We can provide labour hire to our clients with highly skilled personnel for casual, temporary or permanent placements anywhere. We also have a poly division ​and can weld pipes, repair tanks, line tanks and custom fabricate poly products.